At one of the world’s most expensive office buildings, employees have been getting headaches — and not because their bosses are unbearable. Apple Park, the $51-billion headquarters of Apple, is a true feat of architecture, but one that could actually pose a threat to the health of the 13,000 employees it houses. 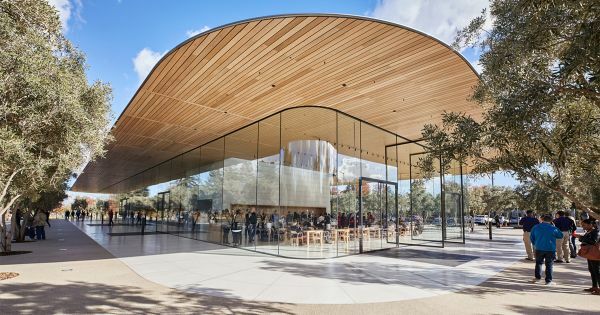 A scoop from the San Francisco Chronicle revealed how Apple’s newest building in Cupertino has seen a number of quite serious accidents, thanks to its spotless glass windows and doors. Apparently, utility personnel working in the building are doing one hell of a job keeping the circular 260,000 square-meter (2.8 million-square-foot) building’s glasses clean — so much so that a number of Apple employees have unwittingly hurt themselves walking into windows. Transcripts of 911 calls obtained by The Chronicle detail how these employees hurt themselves by bumping into the almost-invisible glass windows and doors. Cases of bruised heads and eyebrows have become common. “I didn’t walk through a glass door. I walked into a glass door,” one embarrassed Apple employee told a 911 dispatcher. These employees are probably looking forward to Apple’s dedicated medical clinic to finally open. According to Bloomberg, Apple employees distracted with their iPhones are the ones who keep bumping into these windows. Desperate workers resorted to posting yellow sticky notes on the glass panels, except these were later removed because they tainted the building’s otherwise flawless design. Apple Park was conceived by no less than the company’s founder Steve Jobs, who reportedly described it as “a little like a spaceship landed.” And it has certainly had an impact — although perhaps not the one he imagined. Since it was finished, the building has broken the record for the number of reported concussions. Of course, we hope no one ever bumps into these glasses again. And although it might be a good idea for Apple employees not to focus on their swanky iPhones while navigating the luxurious spaceship-like compound, that might be tough if your phone needs to scan your face to unlock. Still, when window cleaners are this good, it’s probably best to keep your phone in your pocket.